Having youthful illusions shattered by reality is painful, but the prime minister is holding up admirably well. He held his youthful illusions well into middle age, so it is past time to let them go. In was in 2013 that Justin Trudeau expressed his “admiration” for China because its “basic dictatorship” enabled the regime to move fast. So fast that in a diplomatic dispute it can get a Canadian hauled into court to be re-sentenced to death. The prime minister likely laments that feature of basic dictatorship. In 2016, a year into Trudeau’s premiership, Fidel Castro died, and earned a warm and affectionate eulogy, wherein Justin fondly remembered his boyhood visits, conceding only that decades of murderous communist rule had made “El Comandante” — yes, he used that title — a wee bit “controversial.” Now Fidel’s protégé’s protégé, Nicolás Maduro of Venezuela, successor to Hugo Chavez, has been declared illegitimate by the National Assembly of Venezuela. And Canada, joining the United States and dozens of other countries, has recognized Juan Gaidó, head of the National Assembly, as interim president. Good for Trudeau. The Cold War is long over, even if the afterburn of petro-communism has reduced Venezuelans to picking through garbage for food. What was fun for Trudeau père, to foster a bromance with Fidel in order to annoy the Americans, is passé. In the age of the Davos superelite, one goes instead to the Bahamas, lolling about on the private island of billionaire friends to discuss the middle class and those working hard to join it. It is a credit to Trudeau that he did not indulge in any reflexive anti-Americanism by refusing to recognize Gaidó just because the Americans did. Of course it is not just the Americans. 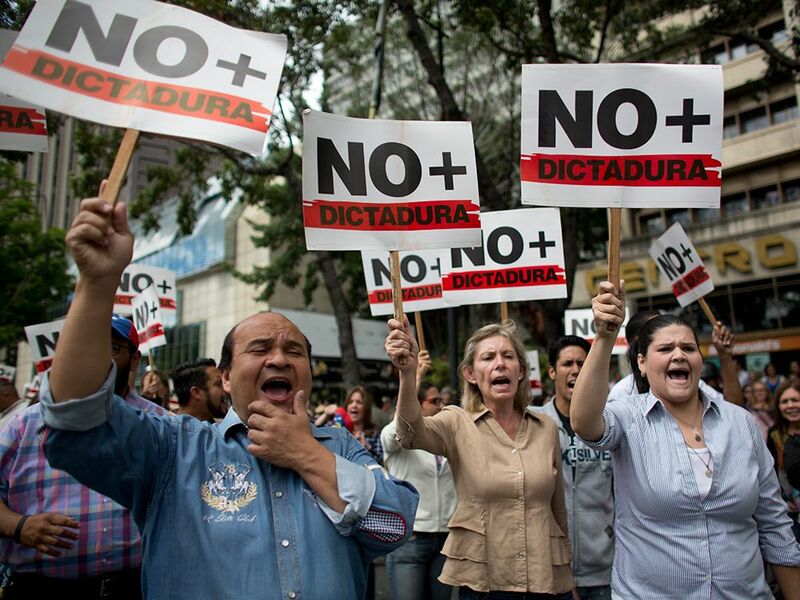 The world’s patience with what 20 former Latin American presidents have called a “military narco-dictatorship” has long run out, even as millions of Venezuelans are literally running out of their country, causing a massive refugee crisis in Colombia and Brazil. In addition to Canada and the United States, Gaidó has been recognized by Brazil, Argentina, Colombia, Peru, Ecuador, Paraguay, Chile, Costa Rica, Guatemala and Honduras. France, Germany, Spain and the United Kingdom demanded that Maduro call for fresh elections this week, pledging to otherwise recognize Gaidó as president. The European Union joined in that same ultimatum. Maduro has the support, critically, of the Cuban-backed military, which are keeping him in power. Internationally, he is backed by Russia, Iran and Turkey. And Canada’s New Democrats. Demonstrating that his up-to-date fashion sense does not preclude holding onto the worst of retro anti-American Cold War thinking, NDP Leader Jagmeet Singh backed Maduro, a throwback to the days of the fellow travellers on the left. They weren’t communists, but they were certainly against the anti-communists. Anti-anti-communism was rarely about the suffering people of the country in question; it was usually about the United States. “Canada should not simply follow the U.S.’s foreign policy, particularly given its history of self-interested interference in the region,” Singh said in a statement. What was good for starving and brutalized Venezuelans seemed to be less important to Singh than not agreeing with Donald Trump. His principal concern appeared to be protecting his left flank against a future challenges to his floundering leadership. Both Niki Ashton and Svend Robinson — there’s a Cold War relic coming back — issued statements decrying the Americans more than Maduro himself. Ashton tweeted her objections with the hashtag #HandsOffVenezuela, which would have been something relevant to say to Cuba nearly 20 years ago. Trudeau fils could have told that to Fidel directly at his father’s funeral in 2000, at which Castro was the only sitting head of government to attend. Cuba’s police state already had its hands on Venezuela’s neck, all the better to secure power for Chavez.